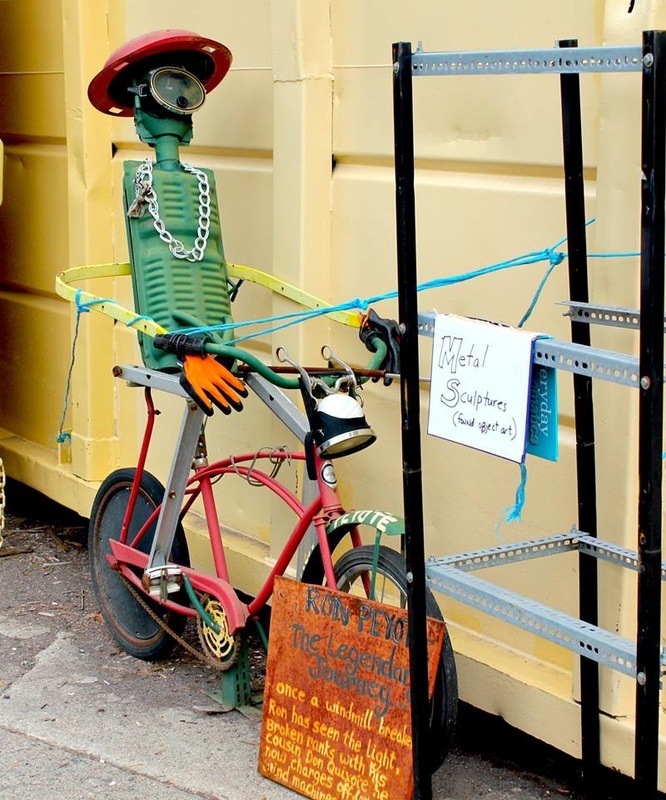 Sales Items - Recycling Services, Inc.
Ron Peyote is a metal sculpture created by RSI President Jim Crater using found metal objects. What will you be inspired to create next time you visit RSI? Some materials that come in to RSI are resold to help with our operation cost needs. We post some items on Craigslist, but we also have several items that are for sale on an ongoing basis. Check below to see some things RSI has for sale now. Do you have a specific item you're looking for that we collect? Some materials artists look for can be provided by RSI for resale. If there's a special item you're looking for, please email rsi_org@yahoo.com and we can work out a cost. We resell our collected wine corks at $10/box. Great for craft projects! 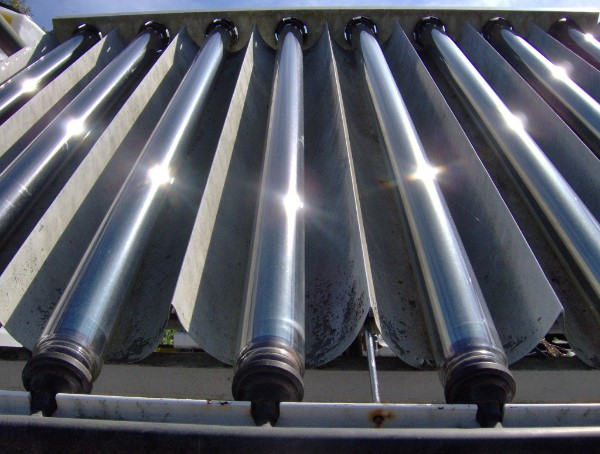 These are evacuated tube (8 tubes each) water heating solar panel units made by Sunmaster. Roughly 4'x4' for space heating and domestic hot water. The next 100 sold will be only $100 each, regularly $175 each. Hundreds, maybe thousands, of records of every type imaginable! Dig through our clothing trailer for great secondhand deals! Jeans $4.00/pair. Don't see a price on a cool item at RSI? Please ASK for assistance with pricing.